These days, keeping your car running well is extra important. With high fuel costs and other economic pressures, people want to get the most out of their car’s performance. That’s where Mike’s Mercedes Service comes in. Mike’s has been servicing Mercedes, BMWs, and all other foreign and domestic autos in New York’s Capital Region for more than 35 years. Mercedes and BMW owners from Saratoga to Albany, from Clifton Park to Schenectady, and throughout the Capital Region have learned that they can trust their cars in Mike’s capable hands. Mike’s owner, Mike Cydylo has worked on cars since the 1960’s. He’s also kept pace with all the latest computer technologies that make today’s cars run. So whether you have a vintage Mercedes or a BMW hot off the assembly line, Mike can give it the TLC it needs to keep it running at peak level. Many dealers from throughout the Capital Region refer some of their longtime customers to Mike. 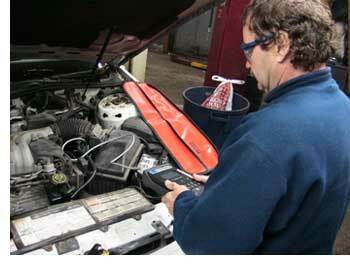 While Mercedes and BMW are his specialties, Mike also works on all other foreign and domestic autos. From tune-ups to repairs to preventive maintenance, when you’re in the Capital Region and need your car serviced, Mike’s Mercedes Service, Inc. in Schenectady is the place to go.